Capped career by claiming All-American honors for the third consecutive year in the 1500 at the 2015 NCAA Outdoor Championships…followed up her senior season with huge 1500 PR (4:10.41) at Heusden, Netherlands, which ranks No. 3 all-time among Noles…sits No. 4 all-time at FSU in the indoor mile (4:34.94)…outstanding student who won multiple All-ACC Academic and USTFCCCA All-Academic honors. Outdoor: Came on strong after missing indoor campaign due to injury, highlighted by eighth-place 1500m finish at the NCAA Outdoor Championship with SB 4:16.58…grabbed the last qualifying spot at the NCAA East Preliminary in the 1500 after failing to make the finals at the ACC Outdoor Championships…competed in seven meets with nine 1500 marks after opening up with a 3000 at FSU Relays. Outdoor: Returns to the NCAA East Preliminary meet in the 1500 for the third consecutive year on the strength of her season-best 4:16.42 performance at the Payton Jordan Invitational…tuned up for the postseason with a lifetime-best 2:06.49 in the 800 at the Georgia Tech Invitational, lopping nearly three seconds off her previous best…placed eighth at the ACC Outdoor Championships in the 1500, and bounced back with a lifetime-best 16:28.36 to place fifth in the 5000, which helped the Seminoles seal the team title. Indoor: NCAA Indoors Championship qualifier for the first time in the mile, and also contributed a leg to the distance medley relay team…qualified for nationals with her personal-best 4:34.94 mile at the ACC Indoor Championships, which was good for a runner-up finish and All-ACC honors as the `Noles won the team title…a member of the third-fastest DMR in FSU history (11:01.59), set a Husky Classic…opened indoor season with a personal-best 9:22.37 in the 3000 at the Auburn Invitational. Outdoor: Advanced to the finals in the 1500m in her first NCAA Championships appearance with a four-second PB in the preliminary rounds (4:15.51)…finished ninth in 1500 finals (4:16.42) to earn second-team USTFCCCA All-American honors…punched her ticket to nationals with an eighth-place finish in the 1500 at the NCAA East Preliminary (4:19.70)…earned her second consecutive NCAA East qualifying spot with a PR of 4:17.47 at the Payton Jordan Invitational…tuned up for the postseason with a career-best 2:09.28 in the 800 at the Virginia Challenge…finished fourth in 1500 (4:23.41) at ACC Championships meet for runner-up `Noles…selected to All-ACC Academic team for first time. Indoor: Missed the entire season as she recovered from an injury suffered during cross country. Outdoor: Qualified for the NCAA East Preliminary in the 1500m run…earned her way into the meet with a season-best 4:22.84 in 1500 at the Bob Pollock Invitational…placed eighth in the 1500 at the ACC Outdoor Championships…opened her outdoor season at UNF Invitational with personal-best in 5000m (17:00.71) to place eighth. Indoor: Scored her first points for the Seminoles at the ACC Indoor Championships with a sixth-place finish in the final of the mile after recording a PB in the preliminary round (4:46.85)…competed in five meets for the `Noles, exclusively in the mile. 2014: Was FSU’s No. 2 finisher at the NCAA Championships (83rd) as the Seminoles placed 12th overall…earned All-South Region honors for the second consecutive year by placing seventh as the Noles posted a runner-up finish at home to advance to the NCAA Championships…earned All-ACC honors for the second consecutive year with a ninth-place finish as FSU placed second…held down the No. 2 spot in the lineup behind teammate Colleen Quigley. 2013: Closed season on a tremendous run, narrowly missing All-American honors with a 48th-place finish at NCAA Championships for the eighth-place Seminoles…earned All-South Region honors with sixth-place individual finish for the champion `Noles…collected first All-ACC cross country recognition after placing eighth overall at the conference championship meet, helping FSU to a narrow win…highest individual finish came at FSU Invitational (third)…consistently ran in the Seminoles’ top-three throughout the season…shared co-captain duties with Colleen Quigley. 2012: Was on the verge of breakthrough sophomore campaign before suffering a season-ending injury, leading to a medical hardship…won the season-opening Covered Bridge Open race at Appalachian State and followed with a fifth-place finish (21:28.56, 6k) at the Virginia Tech Invitational/Pre-ACC meet…placed 20th overall at the Notre Dame Invitational (17:04, 5k) in her final meet of the season. 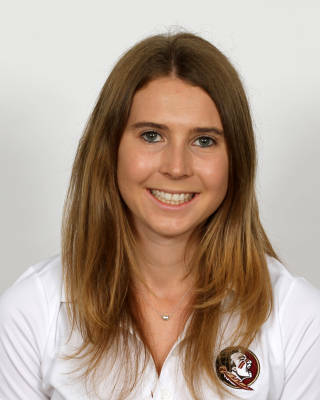 2011: Competed in four meets for the Seminoles, including the ACC Championship…top finish came at FSU Invitational, when she was 11th in season-best 5k time of 18:13.95…was 31st at Clemson Invitational/Pre-ACC meet (21:57.42, 6k)…opened year placing 12th at Covered Bridge Open. Native Australian has represented her country at the junior level on the national and international stage…won the 3000 at the 2010 Zatopek Classic…placed second at 2009 Australian Cross Country Championships and was second in the 1500 at the 2009 Australian Junior Championships…selected Australian team captain for the World Schools Cross Country Championships in 2008…pursuing a degree in dietetics…outstanding student who has earned multiple All-ACC Academic honors in both cross country and track…born June 20, 1991.